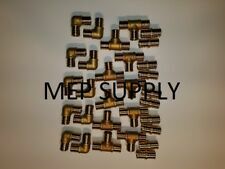 1) COPPER STUB OUT ELBOW FOR 1/2" PEX TUBING WITH EAR / NAIL FLANGE 3 1/2" X 8"
Inlet/Outlet sizes: 3/4" Male NPT (MPT) threaded, U.S. standard threads. Plate & Outlets Material: AISI 316L Stainless Steel. Plumbing Systems. 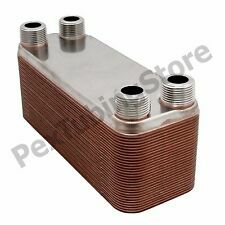 Brazing Material: 99.9% pure copper. Radiant Floor Heating. 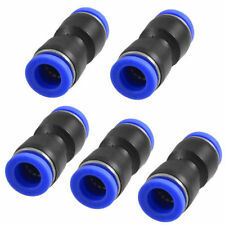 6pcs 1/2" Thread Round Nozzle Flexible Water Oil Coolant Plastic Pipe Hose 11.9"
6pcs x round nozzle coolant pipes. 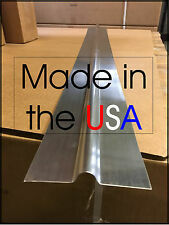 Easy to install with any direction and angle. With plastic flexible body. Widely used for lathe, milling, CNC machine, hydraulic machinery and water cooling system. NEW, CANTWELL CULLEN HYDRAULIC HOSE, PN 10627324, NSN 4720-21-913-4214, 40 IN. With plastic flexible body, light weight and easy to install with any direction and angle Widely used for lathe, milling, CNC machine, hydraulic machinery and water cooling system Material: Plastic Thread External Diameter: Approx. 1/2 inch / 1.25 cm Round Nozzle Inside Diameter: Approx. 0.1 inch / 0.3 cm Total Length: Approx. 11.9 inch / 30 cm Color: Royal blue, orange Package Includes: 6 x Coolant pipe Note: Light shooting and different displays may cause the color of the item in the picture a little different from the real thing. The measurement allowed error is /- 1-3cm. MPN Does not apply Brand Unbranded UPC 4894462247945 EAN 4894462247945 ISBN 4894462247945 UPC 4894462247945 EAN 4894462247945 ISBN 4894462247945. No PEX Tools Required. Use typical adjustable wrench or pliers to connect the PEX tubing to the manifold using the adapters included. 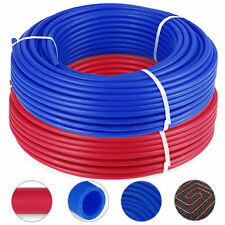 Universal compresion adapters work with all PEX tubing types (A, B or C). Komatsu Genuine Parts 23B-02-34250 Hose ! NOP ! 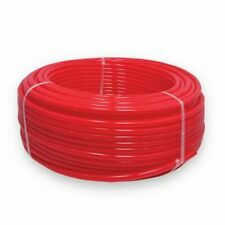 SPIRAL WRAP HYDRAULIC HOSE PROTECTION 25MM 1/2" Hose 20 MT BOX FREE POST ! SPOOL VALVES MONOBLOCK 1 TO 6. HOSE, HYDRAULIC R1, R2. HYDRAULIC CYLINDERS & RAMS. PREMIUM HYDRAULIC HOSES. QUICK COUPLERS HYDRAULIC & PW. 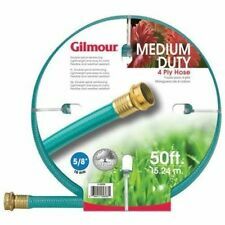 HOSE REELS. PRESSURE WASH HOSE & MACHINES. FIELD FIT HYD HOSE FITTINGS. Toyota 23271-17150 Fuel Hose ! NOP ! 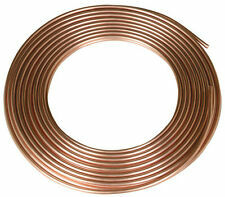 Tectron 17M15-40H Dual Line Aircoil Magnumflex Heavy Duty 1/2" OD ! WOW ! 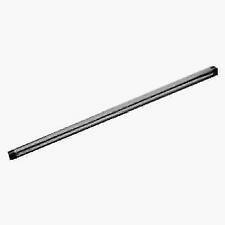 Eaton H160608-100 Clear Tubing 100ft 3/8Inch ID 1/2Inch OD ! NEW ! Cascade 672574 SAE 100R7 Twin Hose Reel Unit ! WOW ! 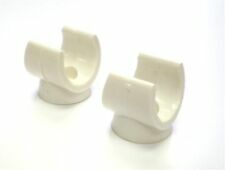 Goodyear Hydraulics S4-FL-2424 Hydraulic Hose Fitting Box Of 4 ! NEW ! 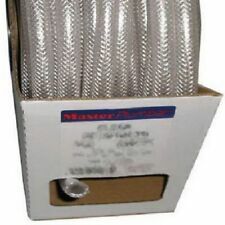 Nordson 274793C Hot Melt Glue Hose 240VAC 224W 1500PSI 8' ! NEW ! Standon Pipe Supports C92 Saddle Clamp Pipe Support 10" ! NEW ! 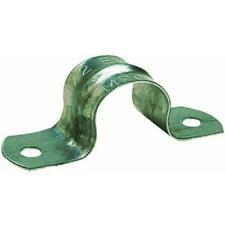 Unistrut P207-8.00 Pipe Clamp 11 1/2 Long 1 1/8 Wide 10-PK ! NOP ! Komatsu 07084-01415 Flange Type Hose ! NOP !